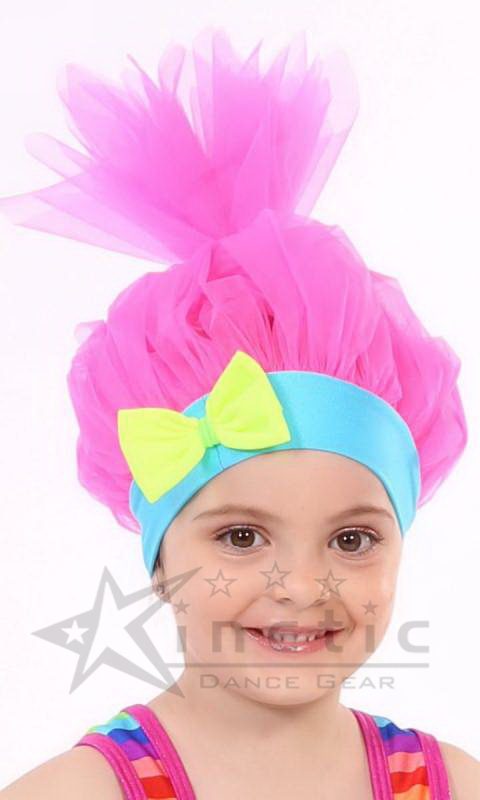 Tulle wig/HAT on soft nylon headband with bow detail. Can be modified for boys. Gathered tulle on band. Bow with tulle inside attached at seam of band.